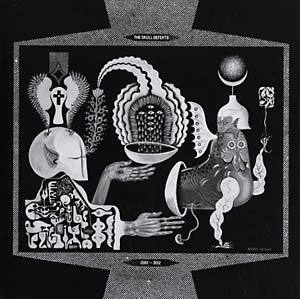 "2013 - 3012 is a brand new 12" vinyl only release that follows the Peer Amid album (THR 260LP) and features the Skull Defekts joined by both Daniel Higgs and Zomes. The A side consists of three new songs while the B side is a re-verse cut done on a Scully Lathe. We were told that there were only a handful of mastering facilities with an operating Scully lathe in the United States. We could only find one. The B Side is not only a reverse recording of the A side - but literally plays backwards from the inside of the record to the outside."